Molecular Gastronomy – sounds fancy, doesn’t it? The dishes cooked using this technique are as fancy as the name itself. This method of cooking involves a deep study of how variations in environmental factors like temperature affect the appearance and other physical properties of foods. Molecular gastronomy has opened up loads of opportunities to play around and craft foods in different ways like never before. Many chefs say that molecular gastronomy is all about deconstructing your food and then creating something absolutely different from the same thing. Thankfully for us, Mumbai has some really talented chefs who have opened up their very own restaurants to give you the fancy molecular gastronomy experience! 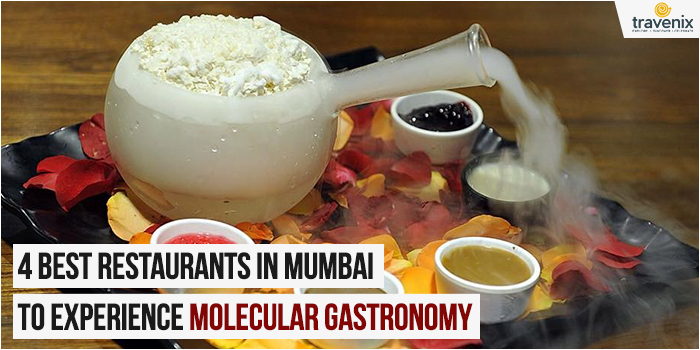 SpiceKlub is one of the oldest restaurants in Mumbai that serves molecular gastronomy cuisines. If you’re looking to have some Indian delicacies with a twist, this is the place you can go to. 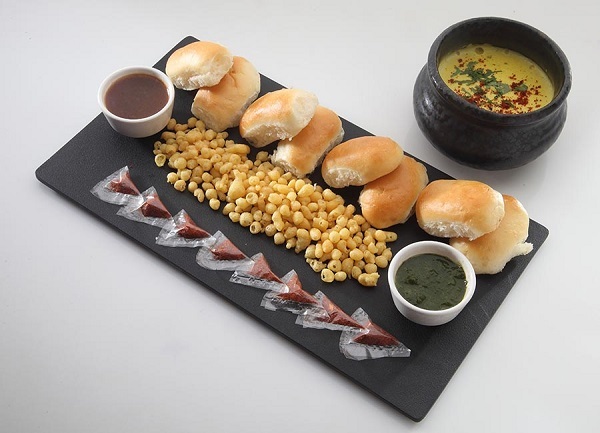 From Bubbly Kulfi that gives out a mystic smoke to Pani Puri, which is served in test tubes, you can find all your day-to-day dishes appear as totally different ones here. Street foods and desserts are not the only things that you can find having innovative looks but main dishes like Paneer Kadhai and Veg. Kolhapuri also come with a completely new look. The popularity of this restaurant has risen so much in the past few years that they have now opened up new branches in Kolkata, Hyderabad and Dubai! They say that food is all about presentation and this place gets it right, every single time. Complementing the delicious food, the ambiance too gets brownie points. The brainchild of Jiggs Kalra, Masala Library is one of the most famous molecular gastronomy restaurants in Mumbai. Being the pioneers of this concept in the country, they have come up with some very unique dishes that will leave you questioning the actual appearance of the ingredients. 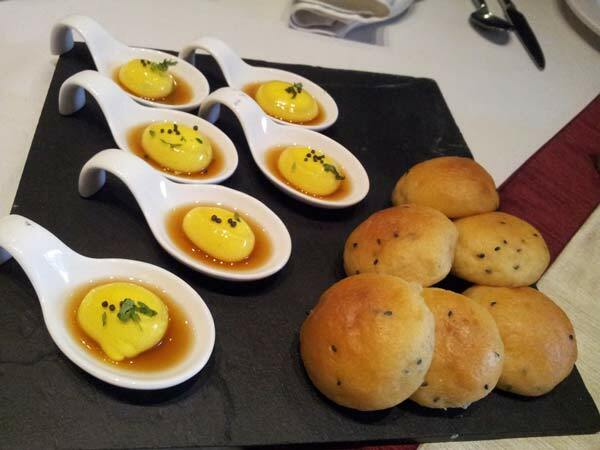 The Jalebi Caviar, for example, has a jalebi caviar floating on top of rabdi and has saffron foam on one side! If you love to visit some of the best paan shops in Mumbai, you’ll be surprised to see Pan Candy Floss being served here! The most surprising dish though is the Chai Ice Cream. Smooth ice cream is served with foam and cookies to give you the best tea experience possible. Quattro Ristorante is located pretty close to SpiceKlub and belongs to the same group. However, this Italian restaurant has recently started off with molecular gastronomy too. While the place was already famous for its delectable dishes, now it is even popular for the quirky appearances of food. For the health-conscious, they have the Capresse Salad, that is zucchini al dente spaghetti pasta with buffalo mozzarella cheese, balsamic caviar and pesto. Chocolate lovers can count on the Chocochunk Fudge Brownie in a Chocolate Cage. 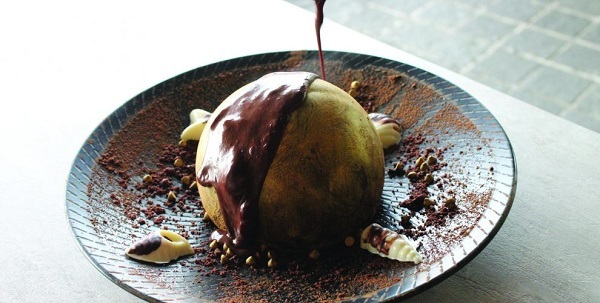 This dish has a brownie with chocolate fudge and chocochunks put inside a chocolate cage. It is served with a gelato in a waffle. With such alluring dishes, it is difficult to resist the urge to eat! This place is perfect for all Pan-Asian food lovers. The presentation of the dishes is done in such a manner that you will not even want to disturb it by eating the delicious food. Most popularly known for its sushi, this place takes its food very seriously. 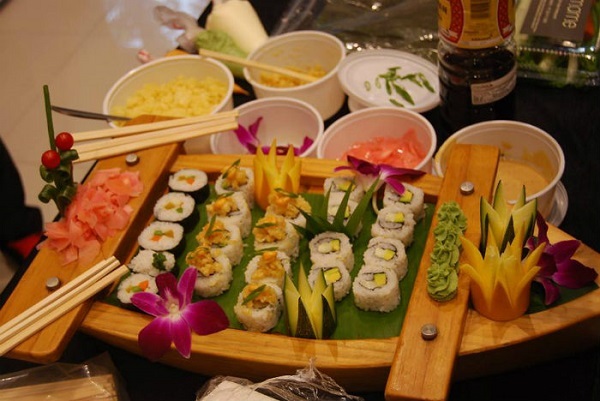 The Sushi Platter is served in a wooden boat with sushi pieces sitting neatly with vegetable garnishing on top. The Big Bang Theory is the perfect way to end your meal here with a complete galaxy of planets in liquid nitrogen for you to feast on. If you have visited any of the above restaurants and experienced molecular gastronomy, do let us know your reviews in the comments below. If you do know any other restaurants in town that have a molecular gastronomy menu, do mention it in the comments.